This post contains affiliate links. I receive a small compensation for any purchases you may make through these links - thank you for your support! my creation for the Making Connections Blog Hop. 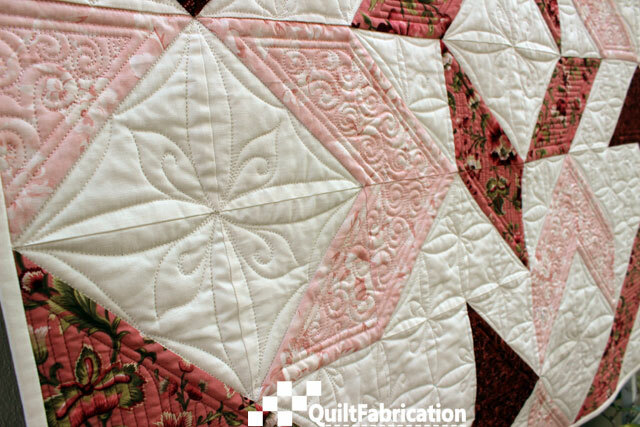 Composed of quick and easy half square triangles, the design is perfect to showcase the quilting from the Making Connections - A Free Motion Quilting Workbook by Dorie Hruska. 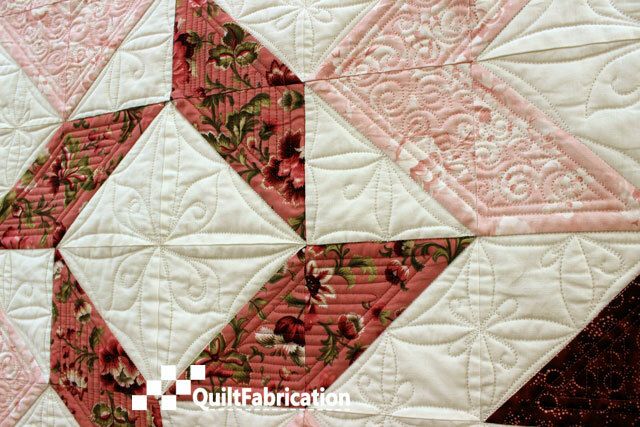 With so many designs to choose from, I decided to keep it light and airy for this quilt - and the effect has paid off! Ready to see more? Then here we go! Just looking at these pictures makes me ohh and ahh - and I own the quilt! Really - anything is possible with the designs in this book. Now how about a chance to win a copy of Making Connections? 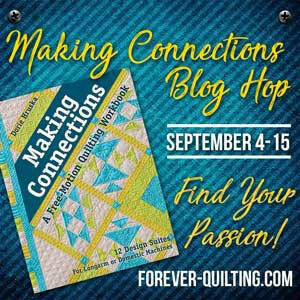 Today is the last day to enter the Rafflecopter giveaway on my Making Connections Blog Hop post, and to visit the other quilters who are also giving away a copy! Hard copies will be sent to US winners and electronic copies to International winners. Here's the list again, so you can increase your chances of winning! 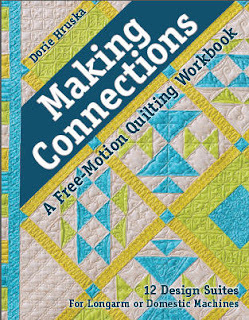 Or maybe you would like to purchase a copy - visit Dorie's site, Forever Quilting, for a signed copy (and free shipping on a featured bundle), or go to everyone's favorite place, Amazon (affiliate link). 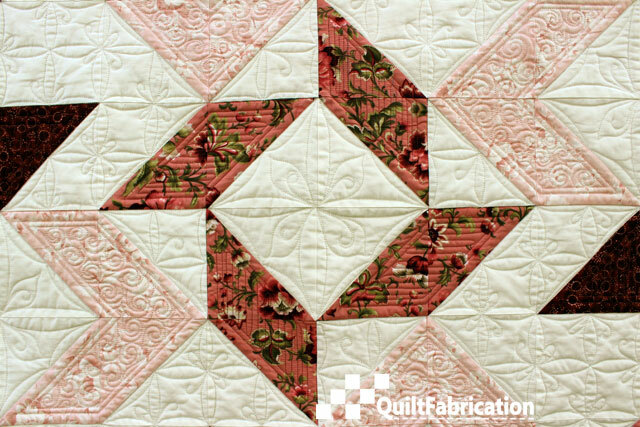 On Monday, I'll announce the winner and have another quilting video, this time of the square motif. Maybe I'll have some sneak peeks of Joy's little sister, on the frame now. I'm definitely on a roll with these quilting designs! Don't forget to hop over to the Rafflecopter giveaway, at the very bottom of the post, to enter! Good luck! Share this post - tell your friends to enter the giveaway! Ohh I love it! 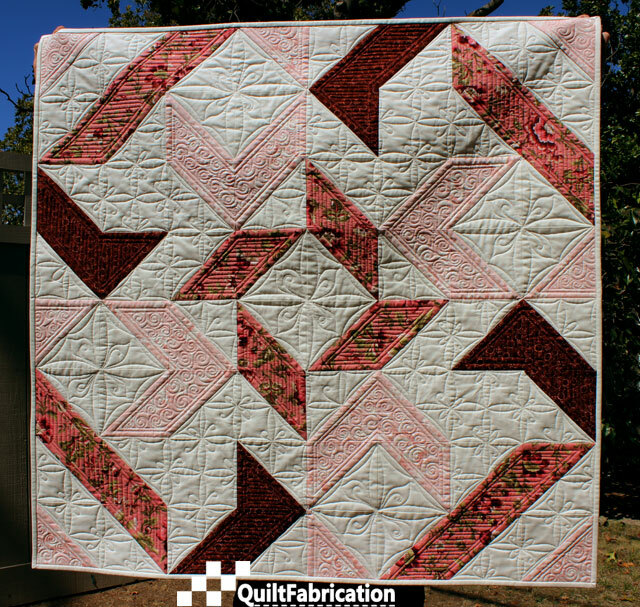 The quilting is fabulous! 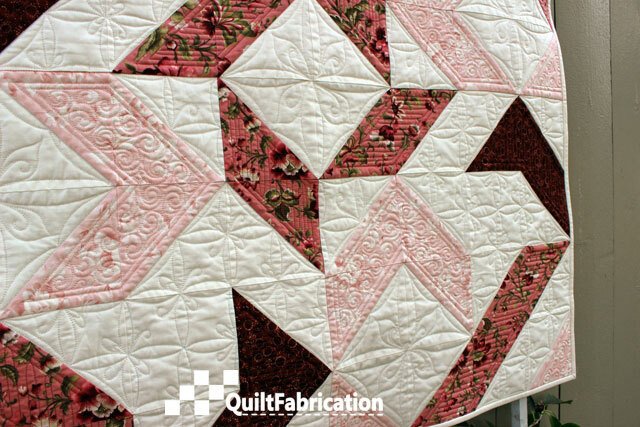 Love love love the negative space quilting. Great job! I need this book. That is really spectacular. 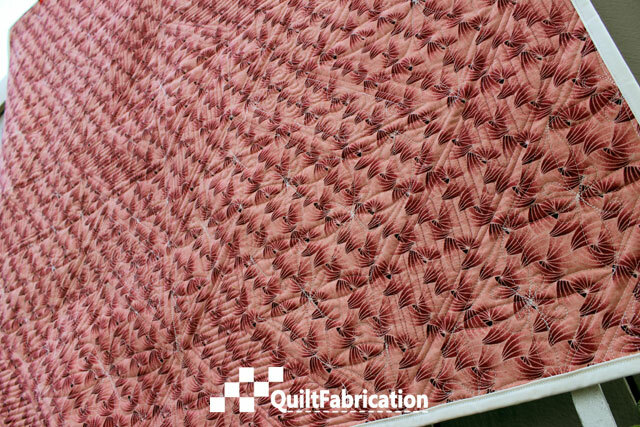 The quilting is just stunning. Great hop! Thank you. I have a table topper that I have been trying to get inspiration for and after following this hop, I think I am ready to go for it. Now I just have to find some time. Love how Joy turned out. Your quilting is great. Slurp!!! OMG Susan, your quilt is stunning with your quilting. You really are making want to get in my car and drive 3 miles so I can obtain this book!!!!! Nicely done and thanks for sharing and the chance to win this book. That was suppose to be drive 3 hours one way that is. 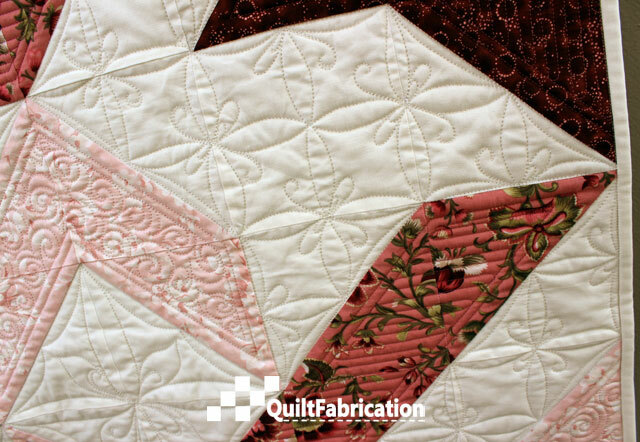 Your quilt and quilting is amazing! Very lovely quilt, the quilting suits it perfectly. Love the fabrics and the quilting. You are tempting me to buy the book! Wow! Such an amazing texture! The quilting really transformed the quilt! Thanks for sharing!! Making Connections Winner and Video! Making Connections Blog Hop and Giveaway!